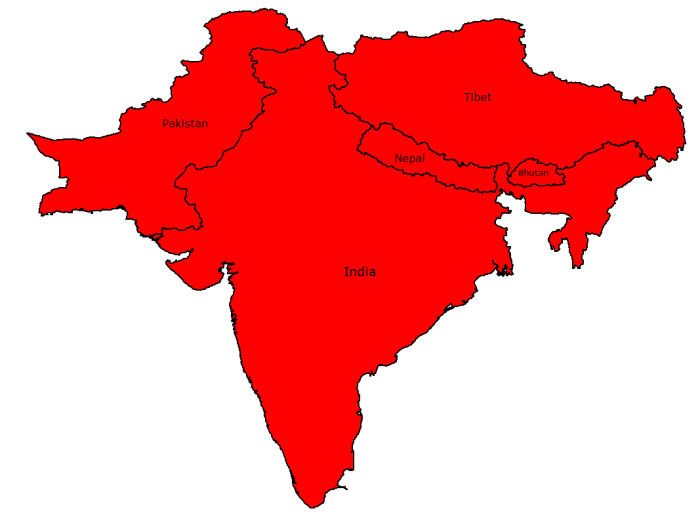 This vector map covers the whole Himalayan region. 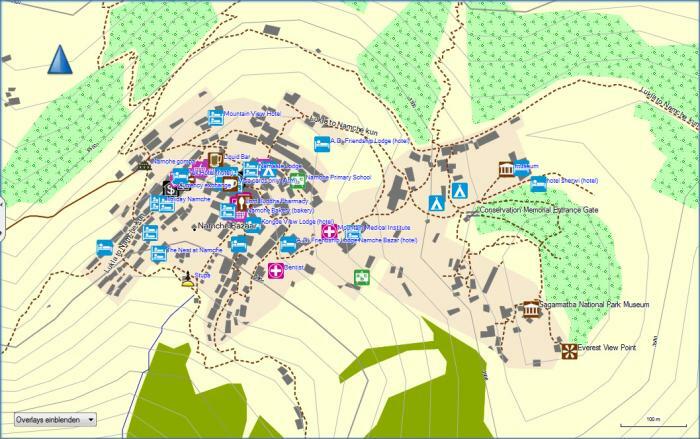 It’s a map with an amazing high level of detail, capable for trekking in remote areas as well as navigating by car or motorbike through the country or any sports activity like mountain biking, hiking or cross motor biking. Besides many topographical details this map includes a fully detailed street layer. Because the map is fully routable, it also can be used for turn-by-turn vehicle navigation, for example with a Garmin® Nüvi® GPS-receiver. Navigate from south India to Lhasa/Tibet – seamless routing through the whole area has never been so easy before! 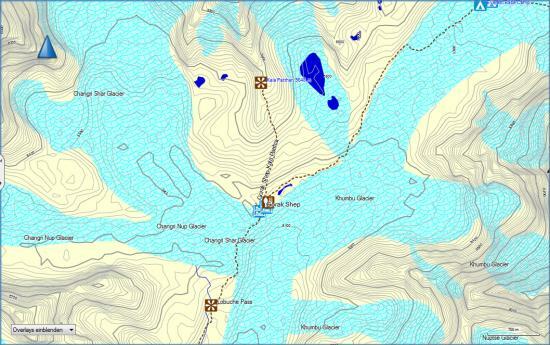 All our maps are compatible with Garmin®-GPS-Receivers, which can display maps in Garmin® vector format. This includes all “On the Road”-Receivers as well as all “On the Trail”-Mapping-Handhelds. 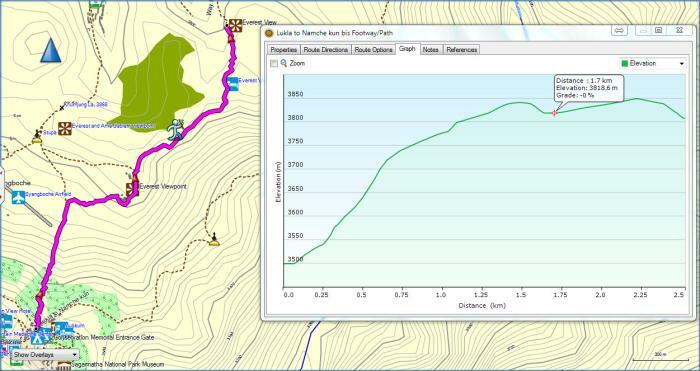 The maps could be used directly with your GPS-Receiver and can of course also be viewed on your computer with one of your favourite GPS-Software like Mapsource® or Basecamp® (available from Garmin® free of charge). Fully routable on streets, trails and treks! Routing across country boundaries! Detailed topographic contour lines (interval 20m)! Lifelong updates without any extra costs! This map includes all future updates free of charge. So you have to buy this map only once! You will be up to date for the future with free map updates around four times a year! This will guarantee a map with the latest map data available. Our maps are not locked. 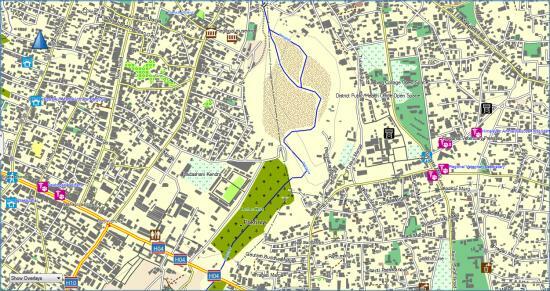 With a valid map licence it is allowed to install the map on as many GPS devices and computers as you like. We offer installation packages for Windows®, MAC OS®, and for installing the map directly to a SDCard. 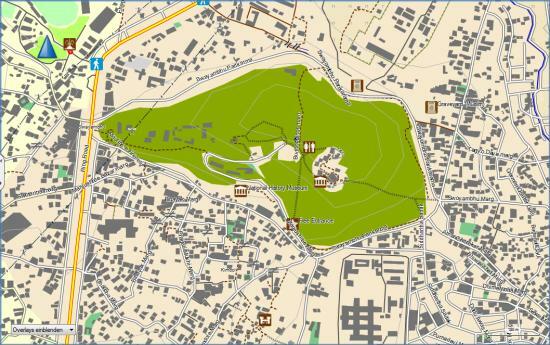 The main source of our maps is the great OpenStreetMap project. This project maps the whole world and was started in 2004. 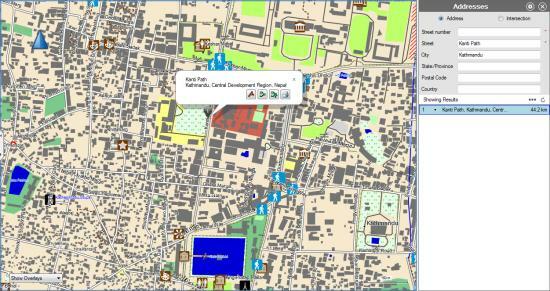 Nowadays thousands of mappers work on this great project. 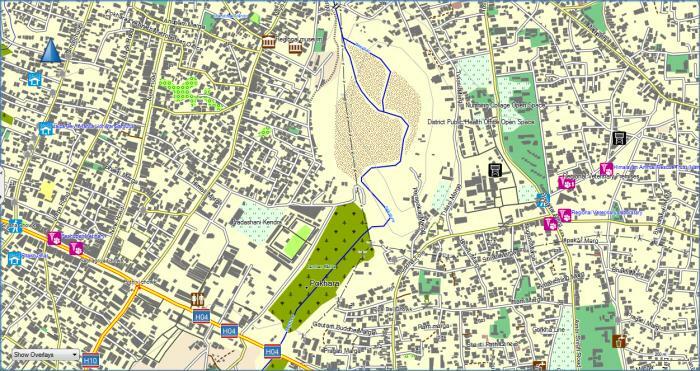 In the past we created our own maps from sources like self recorded tracks and POIs, satelite images or available paper maps. 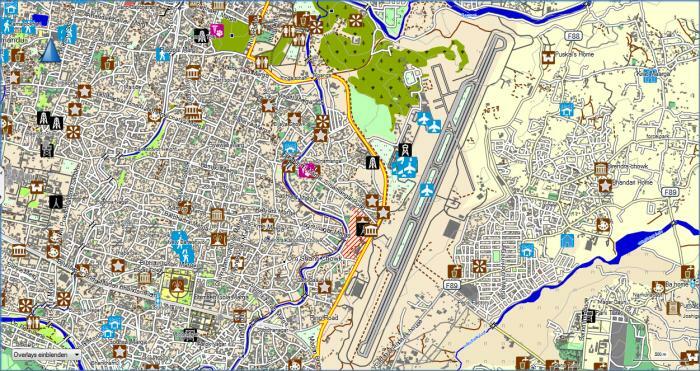 In these days OpenStreetMap was nearly a blank map for the Himalaya region. Nowadays it is the best available map for the Himalaya region – it has an amazing high level of detail, even in the remote areas! We now included all of our own map data into the OpenStreetMap project and use OpenStreetMap as a basis for our own maps. 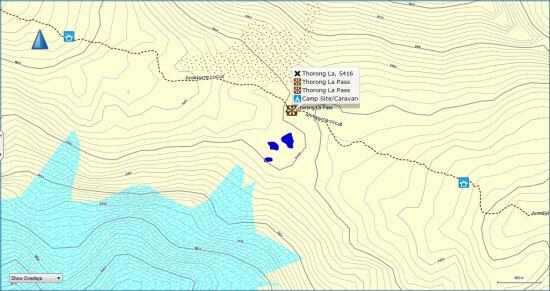 Furthermore, our maps include some additional data which isn’t available from OpenStreetMap. This includes a highly precise layer with digital contour lines (interval 20m) as well as DEM information for the whole region. The OSM-Database is covered by ODBL. The map consists of several separate parts. All parts are strictly seperated. One part are the map tiles containing map data from OpenStreetMap, the tiles containing contour lines based on data from Viewfinderpanoramas and HimalayanGPSMaps. Download Version: Download installation packages for Windows®, Mac OS® and for installing the map directly to a SDCard from our servers. microSD-/SDCard: Map preinstalled on a SDCard. This also includes the Download Version (see above) for future updates! USB-Stick: Installation packages for Windows® and Mac OS® delivered on a USB-Stick. This also includes the Download Version (see above) for future updates! DVD-ROM: Installation packages for Windows® and Mac OS® delivered on a DVD-ROM. This also includes the Download Version (see above) for future updates! Please note that the Download Version is about 4 GB in size!